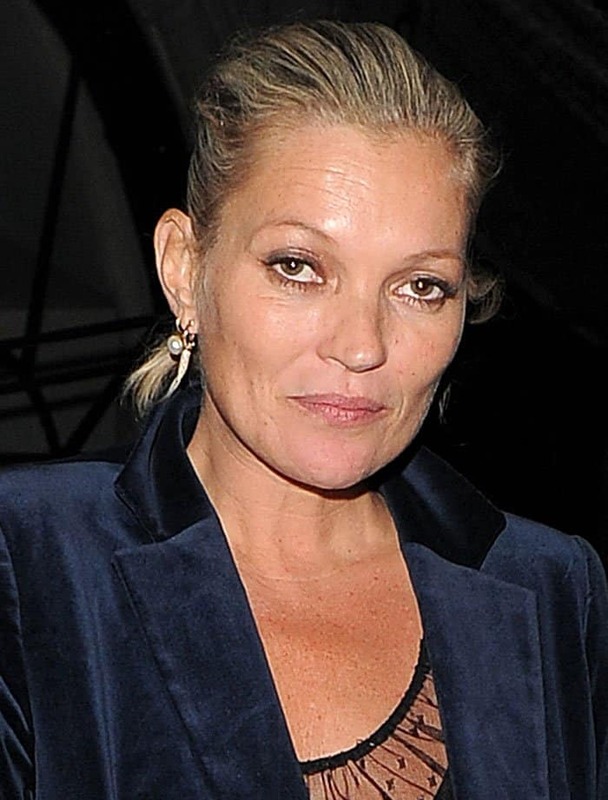 Kate Moss attended sports agent Dave Gardner’s 40th birthday celebration in London on Friday night. The 42-year-old model showcased her signature sleek and sophisticated style by donning a navy velvet trouser suit by Frame. She teamed the look with a sheer black lace top, which offered a glimpse of cleavage. Kate styled the smart ensemble with several earrings, bracelets and rings. In addition, she carried a pearl-detailed black clutch, and amped up the look with glittery pumps. The English model sported barely there makeup and simply wore a messy bun, allowing her natural beauty to shine through. 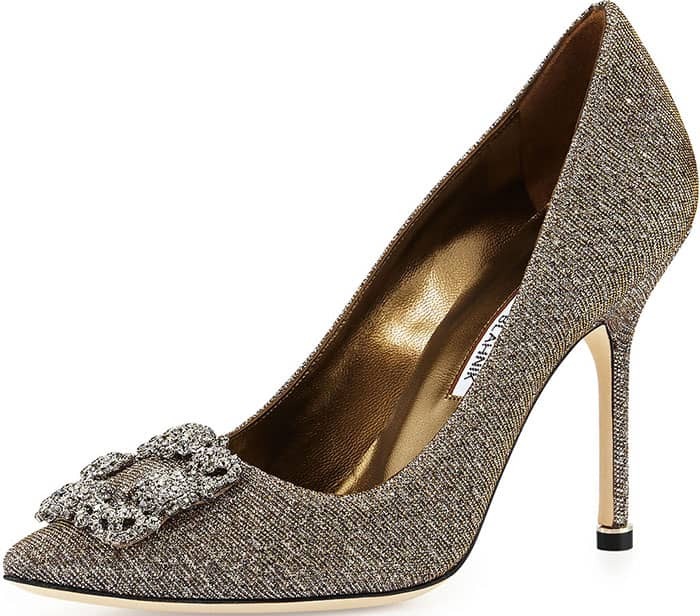 Kate added a touch of sparkle to the look with a pair of Manolo Blahnik “Hangisi” pumps. These pumps feature pointed toes, signature crystal buckles and about 4.3-inch heels. They are made of glittery fabric. You can check out these Manolo Blahnik pumps at Neiman Marcus, Saks and Barneys.